Retirement planning is vitally important and with the new rules it may be more important to start as early as possible. New limitations on contributions to super will mean you must be actively making additional contributions sooner. Then when you have been working hard to get money into the super environment, and have complied with all the rules and contribution caps, you want to ensure you are maximising your opportunities when you start to draw on your super savings for a retirement income stream. A maximum limit of $1.6 million is permitted to be transferred into retirement income stream products. There has been considerable talk in recent times about whether a limit should be placed on the amount that can be accumulated within super and afforded tax concessions. Rather than simply place an arbitrary ceiling on how much can be held inside super, the Government has instead targeted potentially excessive superannuation balances by limiting the amount that will be eligible for the nil tax on earnings concession. From 1 July 2017, the maximum amount that can be placed into retirement income streams will be $1.6 million. For anyone who has started income streams and account balances exceeding that limit, there will be a requirement to roll-back (or withdraw) amounts to bring them in line with these new maximums. The current tax free status of earnings on assets supporting superannuation income streams will only be available to the extent that the income streams are within this new limit. There is a lot of media hype and some misconceptions floating around at present. It’s important you understand that if you are in the fortunate position to have more than $1.6 million in super, you aren’t forced to withdraw the additional benefits. Amounts above the $1.6 million threshold can remain in super, but must remain in the accumulation phase. Earnings will be taxed at the standard superannuation tax rate of 15% which for many people will be better than paying their marginal tax rate on the earnings if they take the funds out of the system. Also remember if you have $1.6m in pension then if you take the excess funds out of your SMSF then you will not have an opportunity to put the funds back in as you will be blocked form making further non-concessional (after tax) contributions. For some, it may be worthwhile to explore taking some of the excess out in to your own names after July 2017 if you have a low level of assets outside in your personal names or through family trusts. But remember if you’re minimum pensions from the remaining money in superannuation pensions is more than you need to live on then these funds can build up quickly outside of the system and you could be come taxable now or when the first spouse passes. Despite considerable speculation, the Government has not removed the ability to commence and run transition to retirement (TTR) income streams. TTR income streams are available to you once you reach your preservation age. They allow you to access your super in the form of an income stream without the need to retire or alter your employment arrangements. However, the Government has opted to reduce the concessions available for these income streams. From 1 July 2017, instead of earnings on assets supporting these income streams being exempt from tax within the super environment (as would apply to all other income streams within the new $1.6 million threshold), earnings will instead remain subject to the standard 15% tax rate that applies to funds in accumulation phase. So for those accessing their super via a TTR so they can salary sacrifice more of their wages back to super within the new $25,000 limit from 1 July 2017, then this is still a very valid strategy. How ever if you have the savings and can manage without accessing your super balance then it may be better to move your fund to accumulation phase. 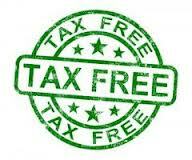 If you retire before 60 or leave any one employer after age 60 then you can switch your TTR to a full tax free pension. So think about your situation and do you or can you do marking of exams, AEC electoral role work, stocktaking, Christmas short term employment, part-time survey work, bar work, filling in for family in a business while they go on holidays. If you can document a work arrangement and it genuinely ceases then you can meet that further condition of release which could move your fund in to tax free earnings phase again. We have offices in Castle Hill and Windsor but can meet clients anywhere in Sydney or via Skype. I am breaking the Budget down in to bite size chunks with strategies to consider going forward for SMSF Trustees. Let’s start with Pensions. The government is removing the tax exemption for earnings on assets supporting ‘transition to retirement’ pension / income streams but has allowed the pension payments and withdrawals from superannuation by people over age 60 to remain tax-free. No special rules for Self Managed Superannuation funds so these rules apply to all. From 1 July 2017 in the TTR pension phase of superannuation the tax-exemption on earnings will no longer apply to transition to retirement (TTR) pensions from. Most TTRs were started as a tax planning strategy using salary sacrifice and the exempt status of pension income. From 1 July 2017 tax will be applied to the earnings derived in a TTR pension. Continue the Transition to Retirement pension if it suits your circumstances. Seek advice before making any rash decisions. From 1 July 2017, the maximum amount of superannuation that a person can transfer into pension phase is limited to $1.6 million. Clients who are already in pension phase before 1 July 2017 will be required to transfer any balance above $1.6 million back into accumulation phase. Clients who are starting pensions from 1 July 2017 cannot roll more than $1.6 million into the pension phase (in total), but the balance rolled over can grow over $1.6 million due to earnings without penalty. some CGT relief will be available on investments moving back to accumulation phase but I will deal with that in a later blog. The capital value of any Defined Benefit Income Streams will be counted towards the $1.6m limit using a multiple of 16 times the annual income stream. 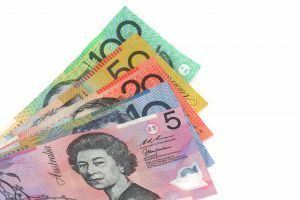 The ATO has promised a portal or access to a central place where people can check their balances across SMSF, retail, DB and industry funds will be available soon. Amounts transferred in excess of $1.6 million to retirement will be taxed in a similar way to excess non-concessional contributions. That means both the excess amount and earnings on that excess amount in retirement phase will be taxed. So please do not ignore this limit which applies from 01 July 2017. This measure limits the tax-free benefits generated from pension phase but do not limit the amount that can be saved in accumulation phase which is only taxed at a maximum of 15%. However the overall amount you can get in to Superannuation is limited by changes to contribution caps. withdraw and recontribute to a spouse / partner with a lower superannuation balance who has not used up their caps. The $1.6 million cap will be indexed in $100,000 increments in line with the consumer price index. Where a member has previously used up a proportion of their retirement balance limit, they will be able to us the remaining proportion of the indexed cap. We will look at each available strategies to consider the tax implications and comparisons of investment options inside or outside superannuation. For the funds kept in Superannuation we will look at ways to maximise returns from investments within the caps by looking at segregating assets supporting the pension and focusing those on high yield, high return assets that can grow the tax exempt pension balance through earnings above the minimum withdrawal rates. That means we will focus on cash, fixed interest and term deposits in the still concessionally taxed accumulation balance, taxed at a maximum 15%. We have been strong advocates of evening up balances in superannuation between partners and this strategy implemented over the last 10 years will benefit many clients. The Government has also confirmed that they will remove tax barriers to the development of new retirement income products by extending the tax exemption on earnings in the retirement phase to products such as deferred start lifetime annuities and group self-annuitisation products (Yeah , I am not sure what they are either). These products can provide more flexibility and choice for Australian retirees, and help them to better manage consumption and risk in retirement. This change was recommended by the Retirement Income Streams Review. The Government has released the Review and agreed all its recommendations. The announcement also states that they will consult on how the new retirement income products will be treated under the Age Pension means test. Reminder: Minimum annual payments for Superannuation Income Streams in 2014 / 15 including SMSF Pensions. Yes the Government have been messing about with the system so much over the last few years that many clients have been totally confused and had to confirm their minimum pension payments for last year so I thought I would just remind everyone of this years limits so they can put their payment plans in place. If you started a pension or annuity on or after 1 July 2007, a minimum pension amount is required to be paid each year. There is no maximum amount other than the balance of your super account, unless it is a transition to retirement pension in which case the maximum amount is 10% of the account balance. The minimum payment amounts will not be reduced for the 2014-15 year. The following table shows the minimum percentage factor (indicative only) for each age group. Note that these withdrawal factors are indicative only. 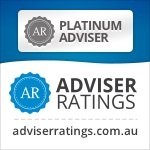 To determine the precise minimum annual payment (especially for market linked income streams), see the pro-rating, rounding and other rules in the Superannuation Industry (Supervision) Regulations 1994. For rules and limits on other Payments from super here are the relevant links to the ATO site. Are you looking for an advisor that will keep you up to date and provide guidance and tips like in this blog? Then why not contact me at our Castle Hill or Windsor office in Northwest Sydney to arrange a one on one consultation. Just click the Schedule Now button up on the left to find the appointment options. Please reblog, retweet, put on your Facebook page if you found information helpful. Liam Shorte is a partner in Verante Financial Planning, Corporate Authorised Representative of Genesys Wealth Advisers Limited, Licence No 232686, Genesys Wealth Advisers Limited ABN 20 060 778 216. Another of our background articles on the basics of implementing Self Managed Super Fund strategies in plain English. There are a number of reasons why you may decide to establish a pension from your SMSF but we believe everyone over 55 should at least consider one and the majority of people over 60 would be hard pressed to give a decent reason why not to use one. You need additional funds to meet your increased living and medical expenses as you age. The main reason someone would not start a pension is that they are still 55-59 and already contributing up to their contribution limits and do not need the cash to meet their current living expenses. In this case they may incur tax on the pension that outweighs the benefits or may affect Centrelink benefits of an older spouse. Otherwise the main reason is someone who does not need the funds and is over 65 and would like to retain the full balance of the capital and earnings in superannuation environment and the 15% tax on earnings is not an obstacle (yes there are some for whom this is suitable). So what is an Account Based Pension? When you are contributing to super, you are in ‘Accumulation’ phase. Essentially all contributions and earnings in the fund are allocated to your member’s Accumulation account. This money then remains preserved until you satisfy a “condition of release” (Ok let’s explain this jargon). Satisfying any other condition of release as specified in superannuation law. If you decide to establish a pension with your account, the balance is now referred to as being in ‘pension phase’. This means that no further contributions can be made into this account. Don’t panic! SMSF members often have an accumulation account (to contribute to) and a pension account (to withdraw from) at the same time. While you are in accumulation phase, the fund will pay 15% tax on all contributions and taxable income within the fund. The real benefit in my opinion for you moving into pension phase as early as possible is that the portion of the fund supporting the pension also moves into a tax-free environment. This means that there is no tax to pay on any income or capital gains from the assets supporting the pension. So if you and your younger spouse had 50/50 balances in the fund and you went in to pension phase then you could expect approximately 50% of the earnings to be tax-free. For members receiving SMSF pension payments from the age of 60 onwards, there is no requirement to report the pension in your personal tax return. This means that all pension and indeed Lump Sum withdrawals from your self-managed super fund are tax-free! Yes, that often means that you will no longer need to do a tax return at all if your other earnings are low. For those 55-59 the pension can be very tax effective if combined with salary sacrifice a s you receive a 15% Pension Tax offset. Refund of franking credits – the Sweetener! As long as the minimum payment requirements of the pension are met, the member can control how much pension they will withdraw as well as the timing of those payments. We often structure payments to match how the client received their pay while working, be it fortnightly, monthly or for some half-yearly or annually if they had other regular income to cover living expenses. 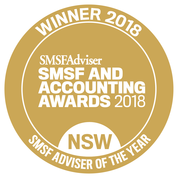 What is required to set up the Pension in a SMSF? All you need to do is organise a Pension Kit with your advisor or administrator. A cover letter explaining what to do next as far as making the payments. The Australian Tax Office (ATO) in January 2013 released guidance on the consequences of trustees not paying minimum amounts from account based pensions, including the loss of tax exempt status. It has issued two documents on starting and stopping a superannuation income stream (pensions) for self-managed superannuation funds. Have you left your financial planning until the last minute? Go over this checklist with your accountant or financial planner as soon as possible. Some of these strategies apply every year, while others are specific to this year because of the changes in the tax rate, the end to the flood levy, and some changes to small business write offs in the next year. I hope this guidance has been helpful and please take the time to comment. Feedback always appreciated.